The US stocks bounced back Wednesday following the deep decline of the previous session, as Wall Street assessed Federal Reserve\'s Beige Book amid mixed data. 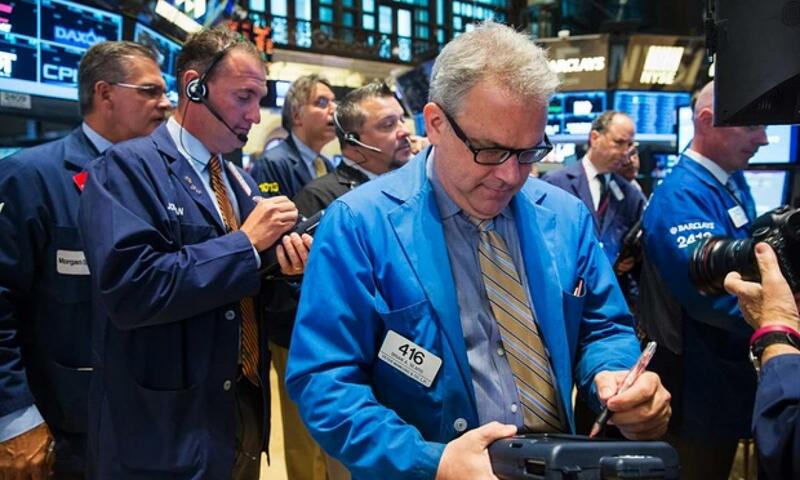 The US stocks bounced back Wednesday following the deep decline of the previous session, as Wall Street assessed Federal Reserve's Beige Book amid mixed data. The Dow Jones Industrial Average jumped 293.03 points, or 1.82 percent, at 16,351.38, Xinhua news agency reported. The S&P 500 surged 35.01 points, or 1.83 percent, at 1,948.86. The Nasdaq Composite Index soared 113.87 points, or 2.46 percent, at 4,749.98. According to the Beige Book released Wednesday afternoon, reports from the 12 Fed Districts indicate economic activity continued expanding across most regions and sectors during the reporting period from July to mid-August. Respondents in most sectors across Districts expected growth to continue at its recent pace. Overseas equities saw stabilization Wednesday. European shares reversed early losses to end mostly higher as investors eyed calmer global markets, with Germany's benchmark DAX index at Frankfurt Stock Exchange rising 0.32 percent. In Asia, Chinese benchmark Shanghai Composite Index pared sharp early losses to close 0.2 percent lower on Wednesday after volatile trading, while Japan's 225-issue Nikkei Stock Average erased morning gains to finish 0.39 percent lower as investors were still worried about global economy.